Despite not being as good as William Wallace Speech at the Battle of Stirling, King Aragorn speech on front of the Black Gate of Mordor is still one of the most exciting parts of The Lord of The Rings movies together with the Deep’s Helm battle. 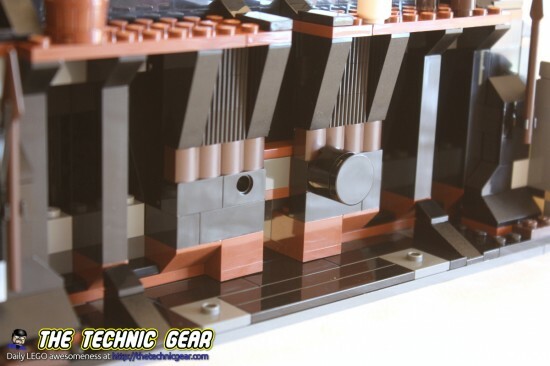 This set is a representation of the gate that would be huge if it is done to scale. So let’s review it. 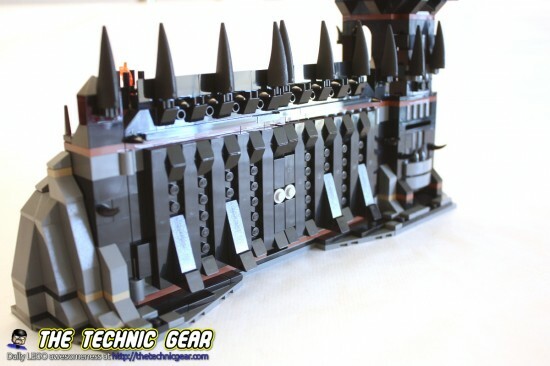 Where can I buy LEGO 79007? Fly the Great Eagle high above the Black Gate of Mordor where Aragorn and Gandalf the White must distract the Eye of Sauron. Use them to stage a scene while Frodo Baggins and his friend Sam throw the One Ring into the fiery depths of Mount Doom and destroy it forever. To reach the Ring’s final destination, you must defeat the Mouth of Sauron and the Mordor Orcs positioned high in the spiked gate walls. Then breach the gate and lead the attack on the enemy! 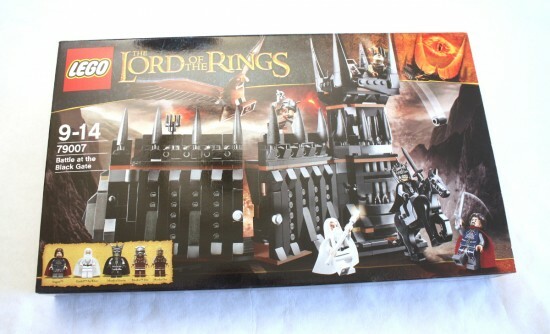 Includes a Great Eagle and 5 minifigures with weapons: Aragorn, Gandalf the White, Mouth of Sauron and 2 Mordor Orcs. It is a decent big box and well… as with most big LEGO sets you get a half-empty ( or half-full depending on who paid the set ) with a few LEGO bags. This is the back of the box. 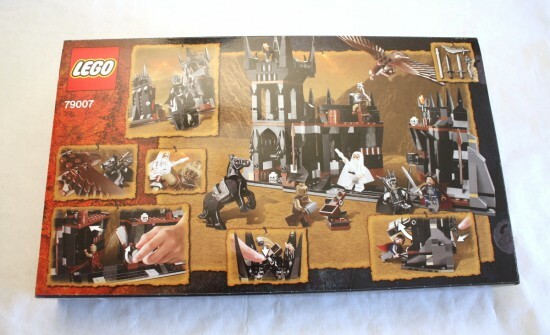 It is strange to see that there are no references on the box to the fact that you can get two sets of the Battle at the Black Gate and build a really huge gate ( with still wrong height proportions ). The model is built using three manuals. It is a very interesting construction. Personally I love the way the gate is built and the lock is simple yet functional. I really like the way of building to obtain such scary surfaces. The model is built in three parts, the gate, the tower and the left mountain decoration. The model has a decent size for its price. Let’s see it part by part. The tower is very nice despite of its simple form. It is nice to see the way it is build to make it look more interesting. The effect is gorgeous. It has a catapult on the top as well as a secret door on the front. The gate is quite nice with a great care for detail. I like a lot how the floor is built so that the gate can move over it. And the way the lock is create is really cool. I just find the door too fragile to play with it… but like if this was a toy for kids. This set has a good amount of cool minifigures. 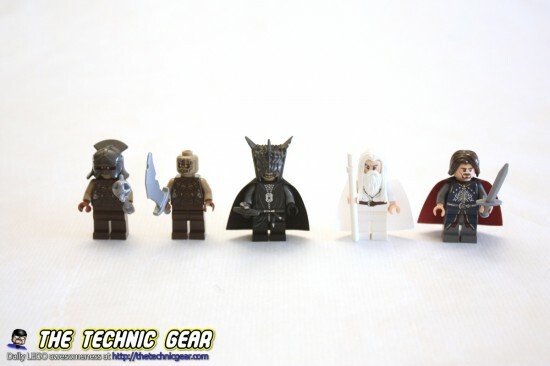 You have King Aragorn minifig that it is exclusive to this set, you have also the Mouth of Sauron, two Orcs and Gandalf the white. 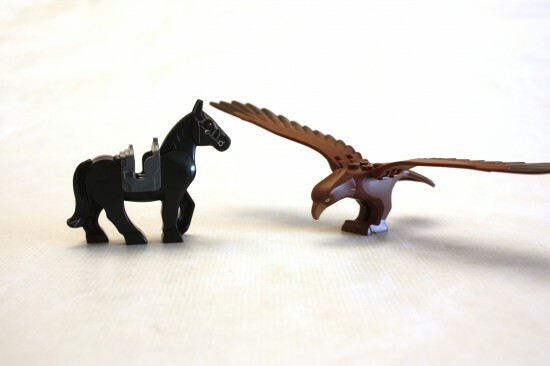 This set also features a black horse and Giant Eagle. 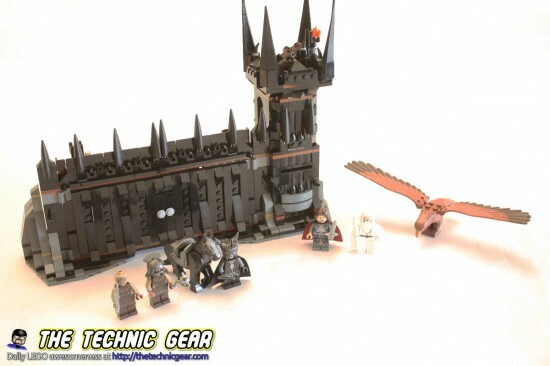 – Five minifigs and two animals. – Fun to build. Several interesting techniques. – It is not tall enough. – The door is quite fragile. 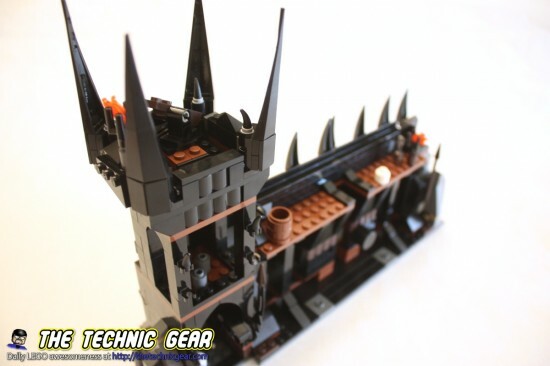 Does LEGO 79007 worth the money? Definitively. I am a huge fan of the Lord of the Rings so this one a win-win acquisition.